A panel of 26 top wine experts sniffed, swirled and tasted their way through over 1,300 wines for the Air New Zealand Wine Awards. In October 2017, a panel of 26 top wine experts, including judges from the USA, UK and Australia, sniffed, swirled and tasted their way through over 1,300 wines for the Air New Zealand Wine Awards. Running for over 30 years, New Zealand’s premier wine competition recognises excellence in winemaking and is owned and organised by New Zealand Winegrowers, the national organisation for the country’s 1,600 grape growers and winemakers. A Marlborough chardonnay won the top prize – the Air New Zealand Champion Wine of the Show trophy, as well as the Rabobank Champion Chardonnay trophy, at an Art Deco-inspired awards dinner in Napier. The producer of the top chardonnay, Isabel Estate Vineyard, is a pioneering winery in Marlborough and planted their first vineyards in 1980. The vineyard has some of the oldest Chardonnay vines in the region. Chief winemaker Jeremy McKenzie said Isabel Estate Vineyard’s philosophy of working the land was simple. The second highest accolade of the evening, the O-I New Zealand Reserve Wine of the Show trophy, went to the Dashwood Pinot Noir Marlborough 2016. The pinot noir, made by chief winemaker Stu Marfell of Foley Family Wines, also won the JF Hillebrand New Zealand Champion Pinot Noir trophy. 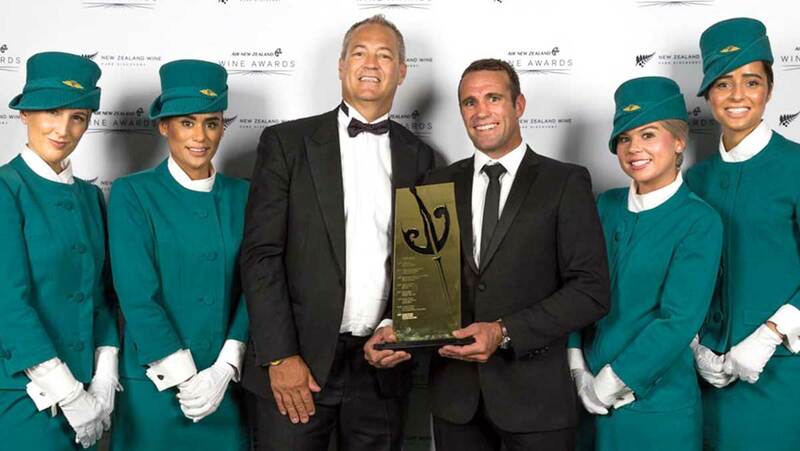 Bruce Parton, Air New Zealand’s chief operating officer, said the airline was proud to have sponsored the New Zealand wine industry’s official awards for 31 years. Parton said Air New Zealand serves about eight million glasses of wine a year to its customers. New Zealand Winegrowers represents the country’s 1500 grape growers and winemakers and has owned and organised the competition for over 40 years.